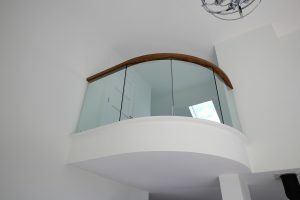 Our clients were unsure of what design they wanted, after careful consideration of the overall house design, a Simple Modern Staircase Design was agreed upon. We think the result was a success. 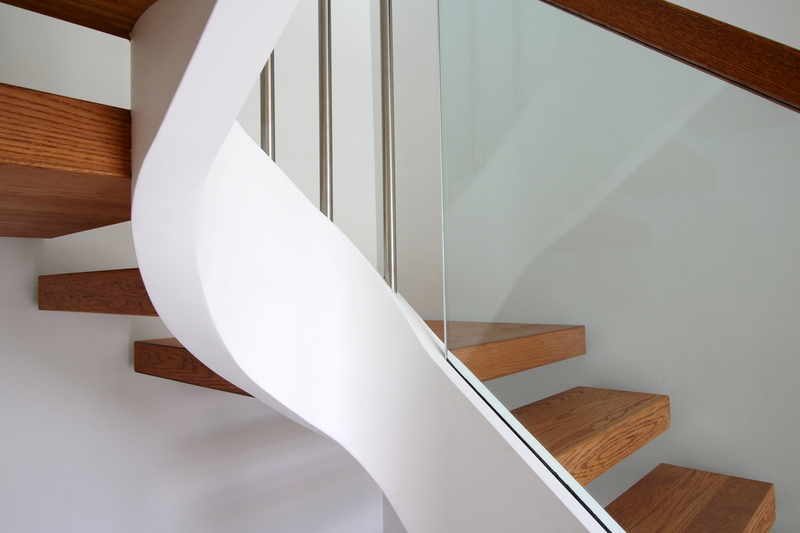 This modern staircase has open rise oak treads, a curved string and freestanding glass balustrade. 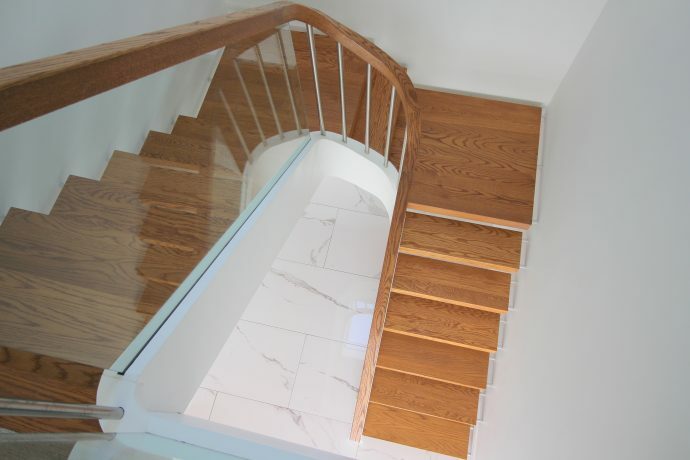 The staircase and its modern features give an overall look of sophistication. 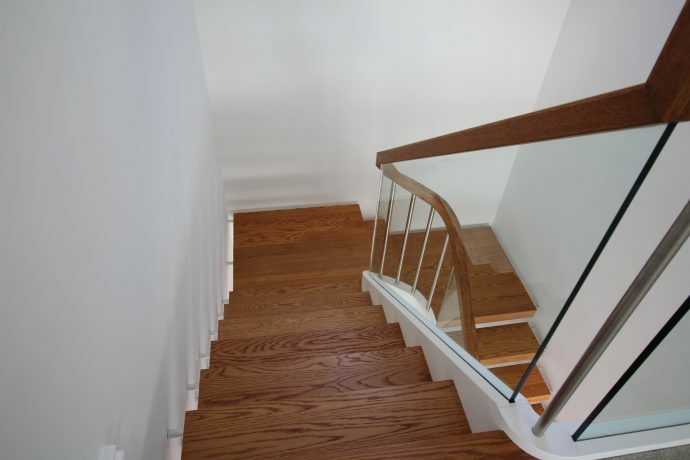 This house is modern and uncluttered, so the modern staircase fits perfectly into the minimalistic interior design. 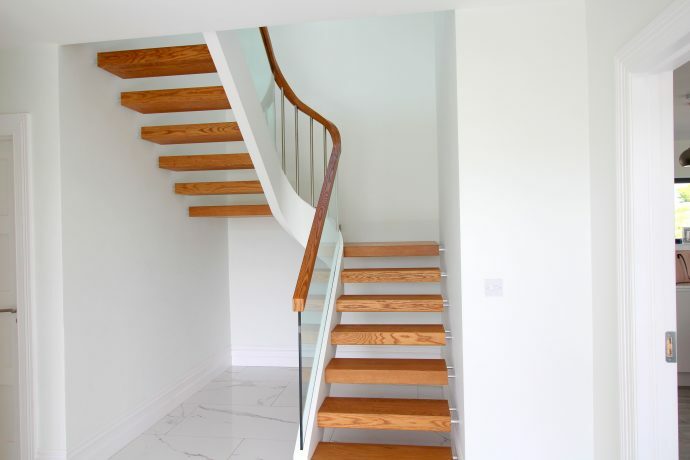 Our business is designing stairs, we have years of experience and expertise which results in a staircase perfect for each client. 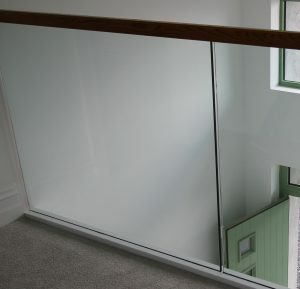 The Glass balustrade and balcony allow light to flow naturally into the bright rooms. Carefully designed features create the overall look that our clients were looking for. 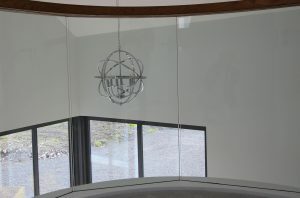 Floating Tread effect, stringless detail on wall mounting. If you would like to see some more of our Irish Stair Designs please look at our gallery. 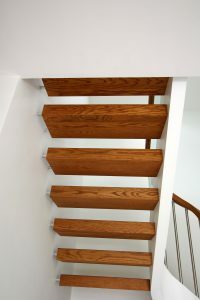 Jea Stairs designing and building stairs throughout Ireland and the UK.